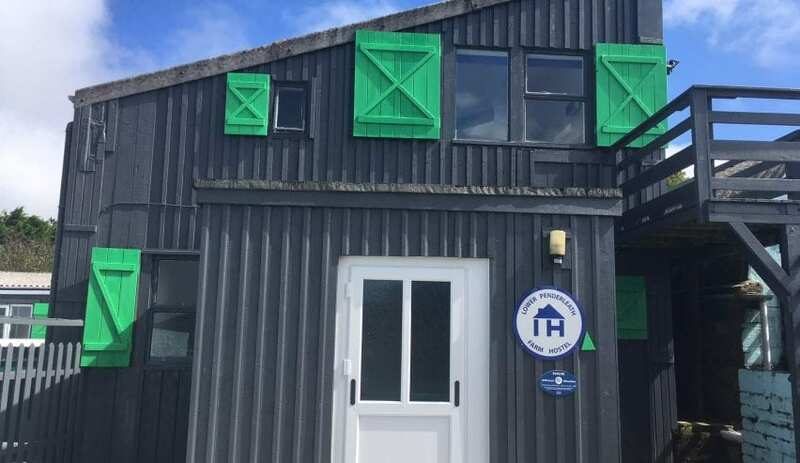 Just three miles from St Ives' beaches and 5 miles from Penzance, Lower Penderleath Farm Hostel near St Ives provides self-catering accommodation in four twin rooms, plus one room with an alpine dormitory for 12 (large room with mattresses) and a family maisonette. All rooms are private and lockable, three rooms have twin beds and the fourth has a bunk bed. No bedding is provided. 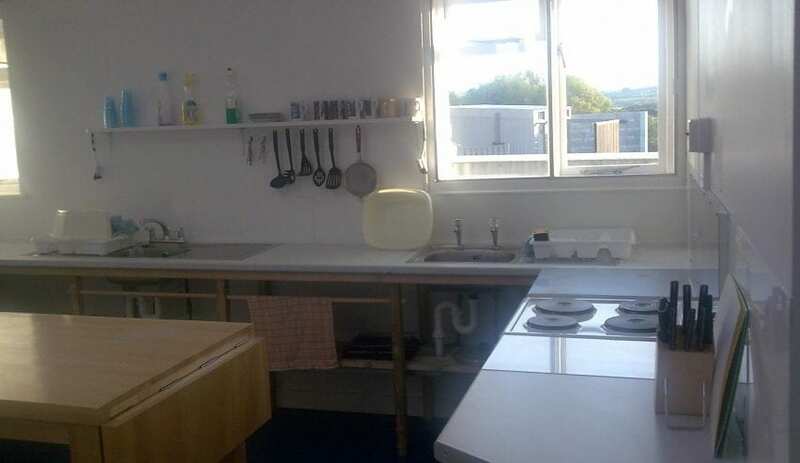 The hostel has a fully equipped kitchen. A dining room adjoins the kitchen and there are plenty of showers and toilets. Heating is by oil filled towel radiators and drying racks are provided. The self contained family maisonette has a small kitchen and private shower and toilet. The water on site is natural mineral water sold as bottled mineral water in 1989. A picturesque footpath leads to the village of Cripples Ease just ten minutes' walk away where there is a pub that serves meals. The village of Halsetown, with its own pub, is also in walking distance. Refundable key and tidy deposit of £20. Lockers provided. BYO padlock. Sorry no card payments. Payment by cash only. Please arrive by 6pm on your first night, no curfew once checked in. No pets allowed This accommodation is featured on our map of Devon, Cornwall and the West Country and here is its own website. Easter-Oct. Arrive between 9am-6pm, depart by 10am. £20pp, £45 twin room. £100 maisonette. Minimum of 2 nights. Sorry no cards. Cash payment only. Please PHONE before arriving. Office hours 8.30am to 8pm). Minimum 2 night stay. Sorry no card payments, payment by cash only. Pass Penderleath camping park on left and 300m further on right hand side you will find Lower Penderleath Farm and Hostel. Local buses pass the road end three quarters of a mile from the hostel. Service runs four times a day between St Ives and Penzance. This accommodation is by the sea, is available to individuals, has a pub within walking distance and is on the The Land's End Trail & Mary Michael Pilgrim's Way Map, the IHUK signage page, the Hostels that welcome stag and hen parties map, the and the SW Coast Path. Everyone at Lower Penderleath Barn in St Ives is looking forward to welcoming guests when they open for the 2019 season at Easter. 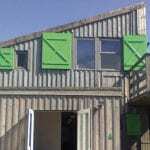 While you are dreaming of sun, sand and sea on the Cornish coast, there’s a hive of activity at Lower Penderleath Barn. The last traces of winter will be swept away and all will be spick and span for the first guests. Sleeping 24 in 4 private rooms with 2 single/1 double bed, a 12 bed alpine dorm with mattresses on the floor and a self-contained 4 bed maisonette, Lower Penderleath Farm is perfect for groups of friends or family looking for low cost self catering accommodation in this very popular part of the country. You will be hard pushed to find anything better value for money. St. Ives- the seaside town of art and culture! 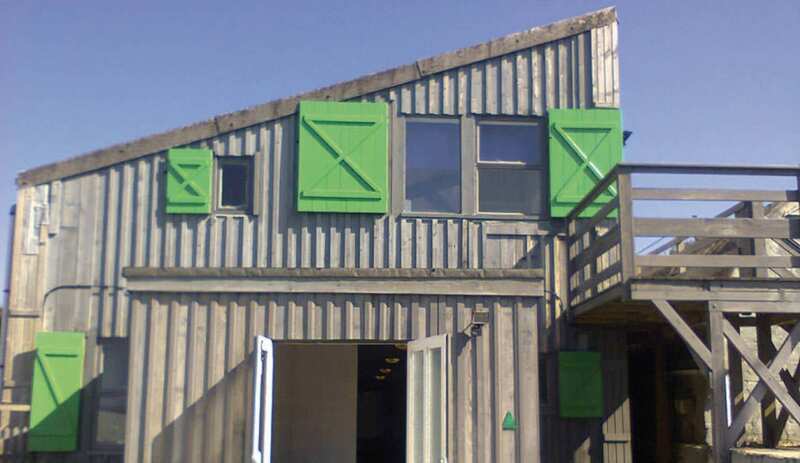 St. Ives has an extensive range of masterful art studios and galleries. When visiting a town as stunning as St. Ives, you truly understand the inspirations of the wonderful artworks in the extensive range of galleries , studios, theaters and even sculpture gardens scattered throughout the town! Described as the “art mecca of the Southwest”, St. Ives offers performing arts, live shows, museums, and festivals to experience. When not immersed in the masterful artworks of local artists, you are surrounded by gorgeous natural landscapes and sandy beaches, and rows of colourful cottages running off into the distance like a watercolour painting. You can finish off your day with exquisite views of the tranquil sea, while tucking into locally exclaimed delicious food at the beach café! Good value accommodation with great views. 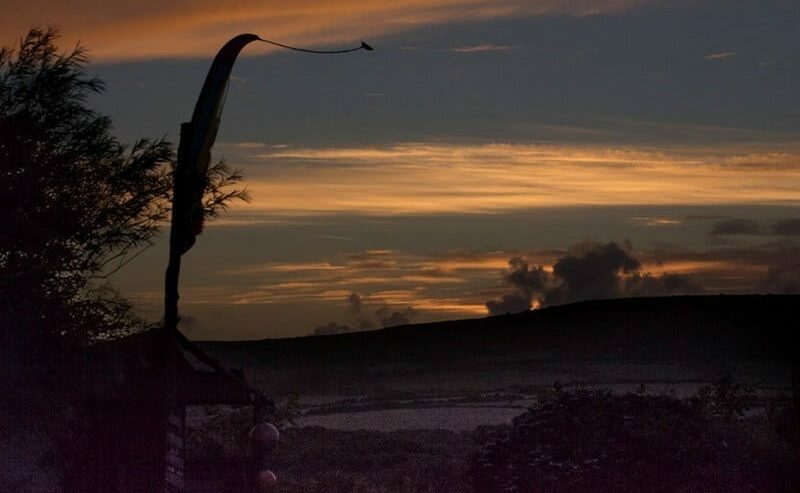 Lower Penderleath Farm Hostel, near St.Ives in Cornwal, is just 10 minutes from the gorgeous Cornish Coast. It has lots of parking , great views and the hostel provides good value accommodation. Good location for groups. Camping is also available on the same site.